Back in the 19th century a group of Colored (as we were called then) citizens of Ansonia and the surrounding communities who practiced the Baptist faith decided that it was time to organize their own house of worship. For the most part they had worshipped with the First Baptist Church of Ansonia (our mother church). With the help of Franklin Farrel, the powerful owner of Farrel Birmingham Company, they were able to worship in a building donated by Farrel in the North End Section of Ansonia. In 1890-1891, the mission was duly organized and incorporated as the Second Baptist Church of Ansonia. The first pastor of the Church was Rev. Edward Johnson of Yonkers, New York. Rev. Johnson was so beloved that every time he came up from New York, the youngsters and oldsters would meet him at the train across the bridge and accompany him to the Church. It is at this point that we must give Rev. Johnson much praise being the very first pastor to lead this flock. After much controversy the location on which Macedonia stands was unanimously agreed upon and purchased for the sum of $1,150.00 including a mortgage. The purchase was finalized MARCH 28, 1891 from a man named Michael Ryan. This was paid for in six months because the members remained strong and united and also because of the generosity of some of the wealthy families residing here at that time. Among those families that contributed were the Gates family of Derby, who contributed the communion table in memory of Mrs. Freeman, their domestic; the Farrel family donated, in memory of Deacon Moses Diggs, the stained glass window that remains today. The bell in the belfry was also donated by Franklin Farrel in 1890. The church proper was completed in November of 1892 for the sum of around $6,000.00, which included the furnishings. The original pulpit furniture and pews remained in use for over 71 years. In November of 1892 the church was dedicated and the dedicational sermon was brought by the Reverend Dr. Adam Clayton Powell, Sr., then the pastor of Immanuel Baptist Church, New Haven. Another significant thing happened during this period and that was the church was reorganized and renamed the MACEDONIA BAPTIST CHURCH OF ANSONIA. It was at this time the colored churches of the State began to realize that there was strength in numbers, so the Missionary Baptist Churches of Connecticut banned together and formed the CT Missionary Baptist Convention. Macedonia along with ten other Churches were among the founding members of the Convention. Macedonia is a member of the American Baptist Convention and in 1938 became a member of the New England Baptist Convention. Rev. Dr. Julian A. Taylor beloved pastor who served for 42 years. Macedonia Baptist Church has continued to flourish under its many outstanding pastors; Rev. Johnson, Rev. W.M. Warwick, Rev. Miles Roscoe, Rev. L. B. Goodall, Rev. J. Edward Harris, Rev. W. A. James, Rev. William I. Cousins, and Rev. Julian A. Taylor, who had the longest pastorate thus far serving 42 years, bringing much honor to Macedonia. He served the longest period as President of the CT State Missionary Baptist Convention. Under his leadership much change took place in the Valley in the arena of Civil rights. Also, in 1938, the Deaconess Board was formed by Rev. Julian A. Taylor with the following women of his choice as charter members. They were: Deaconess Annie Lewis Antrum, Deaconess Frances Antrum Barnett, Deaconess Ella Tutt, the first President, Deaconess Fannie Snipes, Deaconess Lily Douglas, and Deaconess Jennie Mallory. He was followed by a Son of Macedonia, Rev. Dr. V. Loma St. Clair, who led Macedonia to even higher heights than anyone dreamed possible. Under his administration much real estate was purchased with the hope of building a new Macedonia. Unfortunately, the Lord called Dr. St. Clair before his dreamed could be realized. All of these men performed their duties exceptionally. Some pastors, however, served during very trying times and it is here that we must give due honor and respect to the late Rev. William I. Cousins, who served during the years of the GREAT DEPRESSION. Often times he went without a salary, yet he and Sister Mary Cousins remained true and steadfast and God prospered Macedonia under their leadership. Their son, Dr. William Cousins, Jr., was able to go on to Yale University, graduating with distinction serving as far away as India. 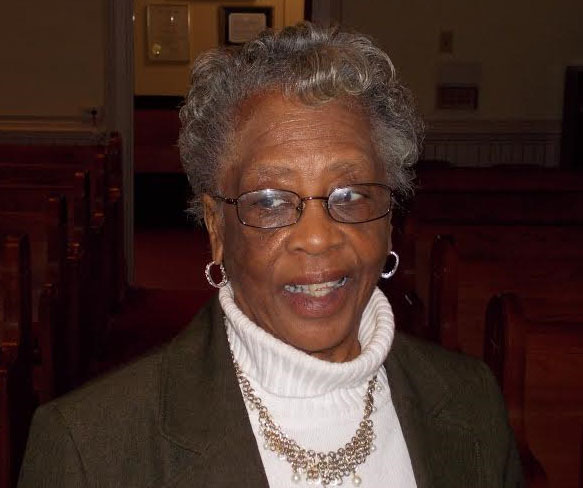 Sister Mary Cousins served with distinction as President of the Women's Auxiliary of the CT Missionary Baptist Convention. Macedonia has always had members who were extremely interested in the youth of our city. Some have long been forgotten, but let us stop right now and jog our memory and think of Sister Hattie Antrum, who devoted her life to young people after losing her beautiful daughter to death. 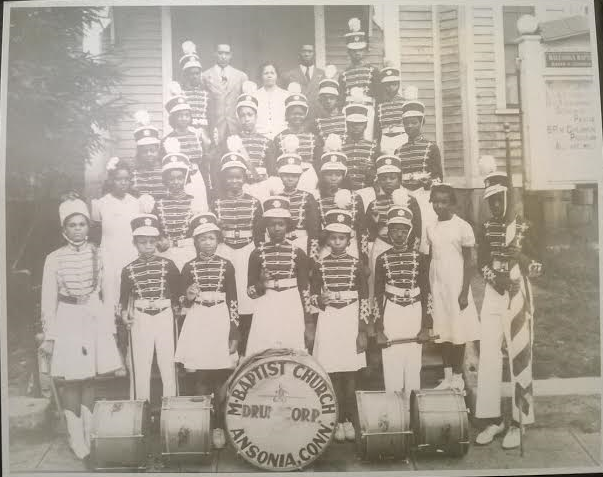 She, along with Sister Sallie Antrum and many others, formed Macedonia's drum and bugle corps which premiered throughout the States bringing much acclaim to our little church and congregation. 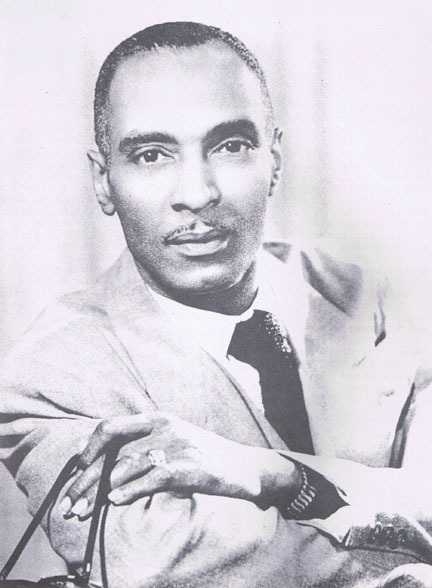 We must always in the history of Macedonia never forget our Late Sunday School Superintendent Thomas McDuffie, a Morehouse graduate, who lost his life at a Sunday School picnic in the 1940's trying to save the lives of two of his pupils. Greater love has anyone than to give his/her life for their friends. The Lord has allowed Macedonia to serve as a beacon of hope, a way station, and a shelter in the time of storm in the past. But we must not sit back and rely on past glories, because past glories are not sufficient for today. Under our eleventh pastor, Rev. Dr. David Penn, Sr., ministries in the church took on new life, and the membership was empowered to go out into the hedges and highways to compel men and women to come in. His main thrust during his tenure was evangelism and Christian education. He reinstituted Bible classes along with sick visitations, and youth activities. He also increased our participation in the CT Missionary Baptist Convention, where he served as Chief of Staff, and in other outreach programs. One of the changes made under his leadership was the combining of the Deacon and Deaconess Board into the Diaconate Ministry; the Deaconess Board, had served for 75 years. In the fall of 2003 under the leadership of Reverend Penn, with assistance from the church trustee board, the State of Connecticut Department of Economic and Community Development CT, the City of Ansonia, former Mayor James Della Volpe, former Congressman James Maloney, and Mutual Housing, we liquidated the debt on rental properties and Mutual Housing began the reconstruction of these homes. Rev. Penn left Macedonia in July, 2011. Upon the resignation of Rev. Dr. David Penn, Macedonia once again found itself without a leader. At the time of Rev. Penn's departure, Deacon Joseph (Zeke) Collins was Chairman of the Diaconate Ministry. Upon the urging of a few Diaconate members, he sought the advise of Rev. Dr. Boise Kimber, then President of the Connecticut State Missionary Baptist Convention. After meeting with the membership, Dr. Kimber sent Rev. Alfred L. Smith, a former pastor of St. James Missionary Baptist Church of New Britain, CT, and Associate Pastor of 1st Calvary Baptist Church of New Haven, Rev. Dr. Bosie Kimber, Pastor. Rev. Smith had many years of experience as a Baptist Pastor, to assist us during this time of transition. What a blessing that was! Rev. Smith came in as our "Supply Pastor". From his inception, he has served us with integrity, uprightness, and a sweet Christian spirit. We know that God was in the midst of his selection and much credit must be given to the present Chairman of the Diaconate Ministry, who served as Chairperson of the Search Committee, Deacon Julian David Gatison, who also served above and beyond the call of duty. Let us keep the sense of hope that we will become the church that God has envisioned us to be. We must continue to pray for our leaders that wisdom, good health, courage and zeal are theirs. At a Church meeting which was held October 24, 2015, the membership of Macedonia voted unanimously electing Reverend Alfred L. Smith Jr. to be its next Pastor. Rev. Smith was installed as the twelfth and Senior Pastor this June. He and his family were honored and celebrated with a Gospel Concert held at the Worship Center on Friday evening, June 10, 2016. The honor and celebration continued at an offsite banquet facility on Saturday, June 11, 2016. His Installation Service was held at Macedonia on Sunday afternoon June 12, 2016.